We’re attending this fun and exciting event next week, and the anticipation is almost unbearable. 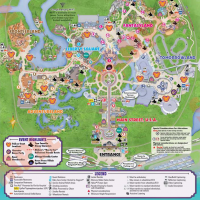 The party is held on select nights, starting in September and ending in November, at the Magic Kingdom theme park. You have to buy an additional ticket to attend, but it’s well worth it. Since guests are encouraged to dress in Halloween costumes, we’re planning to attend as a mummy family. And the kids get to trick-or-treat their way through the park. Like a normal Halloween, this will be somewhat challenging with a food allergy, dairy in our case. More about that below. 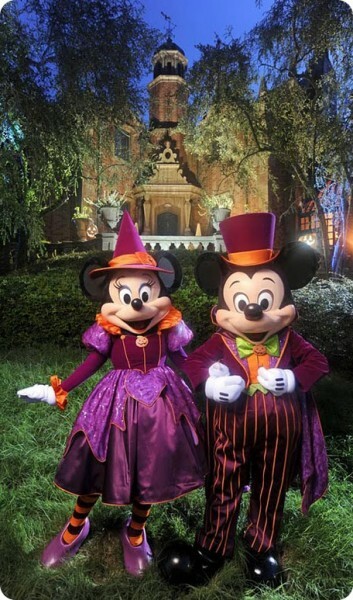 Along with special lighting, music and Halloween effects that turn the Happiest Place on Earth into “happy haunted hallows,” a special fireworks display replaces “Wishes” with “Happy HalloWishes,” where Disney Villains go trick-or-treating in the sky. We are really looking forward to Mickey’s “Boo-to-You” Halloween Parade, which kicks off with a ride down Main Street by the Headless Horseman and includes Disney Characters and stars of the Haunted Mansion. And, we are really excited to meet the Disney Villains, like Captain Hook, Ursula, Doctor Facilier and Maleficent. In preparation for our trip and attendance at Mickey’s Not-So-Scary Halloween Party, we inquired about the candy. Disney World Special Diets told us the candy handed out in the park is a mixture of Skittles, Twix, Snickers, Milky Way, peanut chews, M&M’s (peanut and plain), lollipops and a few other small candies. We also emailed the team at The Disney Blog, who recently attended the party, and they provided this list of gluten free treats that they collected, and inspected. Please, as always, check the manufacturer’s website for the most up-to-date list of ingredients. 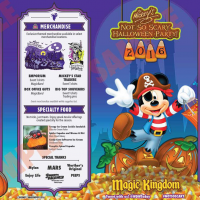 Disney Special Diets also tells us that vendors and suppliers occasionally swap out product and this is subject to change, and to visit City Hall for other options. With her food allergy, our daughter can’t eat many of the items on this list. We plan to supplement this with candy we bring that we know is safe and free of her food allergy. Of course, we don’t go to Disney for the candy. We go because our daughter can eat at most of the restaurants, knowing the chefs will take good care of her. We’ll provide an update to this next week. Subscribe to our RSS feed or contact us if you want to be alerted to the update. 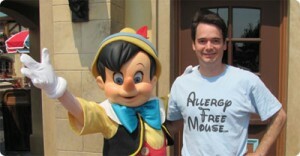 If you’ve attend this year’s party, let us know what your or your children could eat with your food allergy.